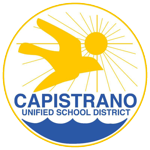 IRVINE – Capistrano Valley’s top-seeded boys water polo team took a two-goal lead into the fourth period Saturday and appeared in control of the CIF-SS Division 4 final. No. 2 seeded Santa Monica had another ending in mind. The Vikings quickly scored the first two goals of the final quarter, forced overtime and made three clutch perimeter shots in the extra frames to capture their first section crown with an 11-9 triumph at Woollett Aquatics Center. 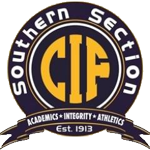 The top-two ranked teams in the division were tied at 8 after regulation, but Sebastian Zapatero, Sawyer Koetters and Alexander Weng scored on outside shots against tight defensive coverage in overtime to rally Santa Monica (24-7). The Navy-bound Koetters finished with four goals while Zapatero, a senior, added three despite playing with two early fouls. Zapatero scored on a counterattack with 2:25 left in the fourth to tie the score 8-8. Santa Monica goalie Aaron Akhavan added 16 saves. Sophomore center Ethan Pranajaya scored three goals and drew four exclusions to lead the Cougars (20-12). Goalie Michael Morizano added 14 saves. Andrew Freitas, a senior, came off bench to score twice in the final 1:14 of the third quarter to give the Sea View League champion a 7-5 lead going to the fourth.